Tampa Bay Buccaneers Helemet Design – Rebrand or Refresh? The decision for a company to engage in a rebranding or brand refresh campaign is one of the most difficult and complex decisions that they can make. Tonight, Hall of Famer Warren Sapp will reveal to all Buccaneer fans the new logo and helmet change since the last, 17 years ago in 1997. This revealing will take place on NFL Network’s Total Access Show at 8p.m. ET. 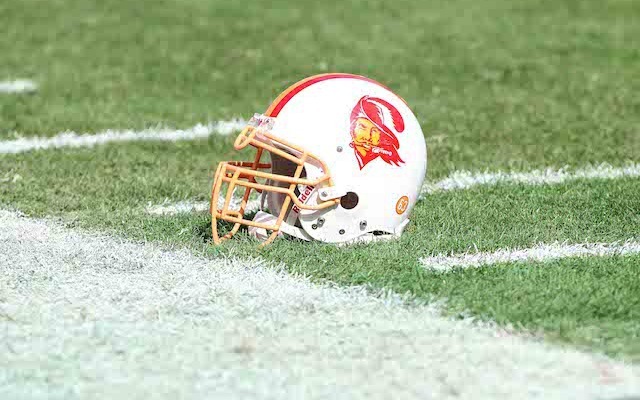 The Bucs have worn two helmet designs since they started in 1976. The original helmet featured a winking pirate logo on a white helmet that came to be known as Bucco Bruce. In 1997, the team switched to a red pirate flag on a pewter helmet. What will they come out with now? Warren Sapp has tweeted a hint saying the helmet will have a chrome grill. NFL teams regularly overhaul their uniforms for different reasons. The change is generally a 24-month process involving market research, computer simulation, and input from experts with their league partner Nike. Why are the Buccaneers doing another change? Is it because times have been hard? The Buccaneers ended 2013 with their third consecutive losing season and sixth in a row without a trip to post-season, went through three coaches, and a MRSA scare involving three players. Now, with a new coach and several other changes, perhaps it’s time for a brand identity update. There is a major difference between a complete rebrand versus what is known as a brand refresh. The motive of a rebrand is to recreate your company in the eyes of its target market. A comprehensive redevelopment of your brand identity is a multiple-step process that is reminiscent of an Extreme Makeover. This is a time consuming process that involves a great deal of research and is typically based on the public perception of the existing brand. When a rebrand is the chosen path it is usually because the existing brand simply isn’t working. Does it catch the eye? Does it make an impact? And most of all does it stay with the viewer and have you remember the brand? If the answer to these is no, for whatever the reason it may very well be time for a complete rebrand. Doing some research is critical to this decision. Having the mindset that “we just don’t like it anymore” can be quite dangerous to the brand itself and it’s impact. Find out WHY the brand no longer works and why people may not be connecting with it. Times change, often time your brand has to as well in order to remain relevant. The goal is simple; “We are improving the total customer experience, with bold restaurant designs, fresh product innovation, more engaging advertising and digital media advancements,” said Emil Brolick, President and Chief Executive Officer. Another recent brand refresh, Mr. Clean. Proctor & Gamble after 50 years wanted to update the look of the Mr. Clean logo. In a new age where consumers connect with a brand for various reasons, the team at P&R gave their brand, the bald Mr. Clean character an updated new look and even added a back story that shares his “coming of age” and his “born to clean” attitude. Similar to Wendy’s the brand did undergo a complete overhaul, just a little fresh life breathed into it to keep it alive for the next 50 years. Rebranding is more than just slapping on a new coat of paint. Instead, a rebrand is a complete renovation of an already established brand. It’s a shift in brandy strategy and brand positioning to establish a new identity in the minds of consumers, as well as it’s competitors. On the reverse, a brand refresh is less invasive. As opposed to completely redeveloping your brand, you simply modernize or even update certain aspects of it while preserving it’s integrity. When you think of a brand refresh think of Pepsi, or even the two examples above. These are company’s that have proven their brand identity and brand strategy to be effective over time. 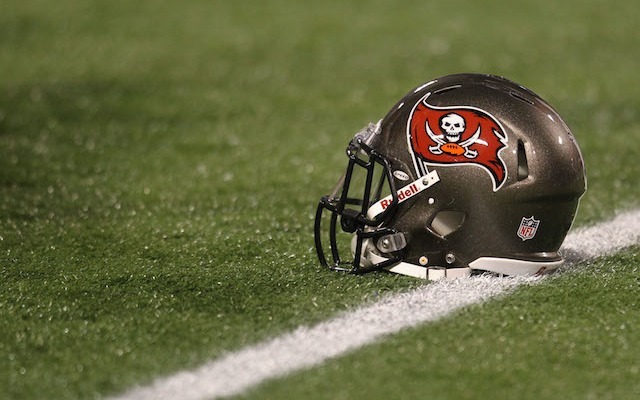 However, times change and they have all proven that they can roll with them and stay current and continue to form a bond or association with their intended customers, or in the Buccaneers case, their fans. Will the third time be a charm for the Tampa Bay Buccaneers? Will they decide to go with a complete rebrand or simply refresh Bucco Bruce again in hopes of gaining new fans and a city that will stand behind them, fill seats and buy merchandise sporting the new look? Do you need a new brand identity or simply need to update your existing one? Want to attract more attention and new customers? Let us develop a powerful new brand identity that leaves a lasting first impression today. All logos are ®Rights Reserved and ©Copyright to their respectful owners. Previous PostQuality Citations & Consistent NAP Equal More BusinessNext PostThe Death of SEO – Is Google Responsible?